On February 9, 1895, in Holyoke, Massachusetts (USA), William G Morgan, a YMCA physical education director, created a new game called Mintonette as a pastime to be played preferably indoors and by any number of players. The game took some of its characteristics from tennis and handball. Another indoor sport, basketball, was catching on in the area, having been invented just ten miles (sixteen kilometres) away in the city of Springfield, Massachusetts, only four years before. Mintonette was designed to be an indoor sport less rough than basketball for older members of the YMCA, while still requiring a bit of athletic effort. 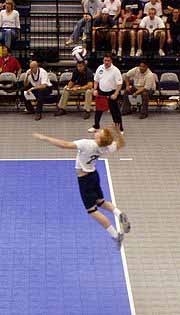 The first official ball used in volleyball is disputed; some sources say that Spalding created the first official ball in 1896, while others claim it was created in 1900. 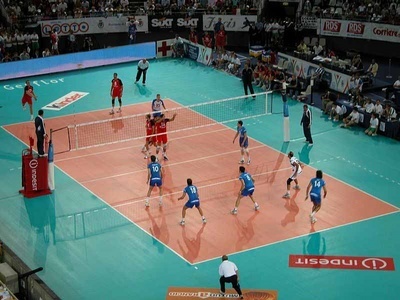 The rules have evolved over time; In Philippines by 1916, the skill and power of the set and spike had been introduced, and four years later a "three hits" rule and a rule against hitting from the back row were established. In 1917, the game was changed from 21 to 15 points. In 1919, about 16,000 volleyballs were distributed by the American Expeditionary Forces to their troops and allies, which sparked the growth of volleyball in new countries.